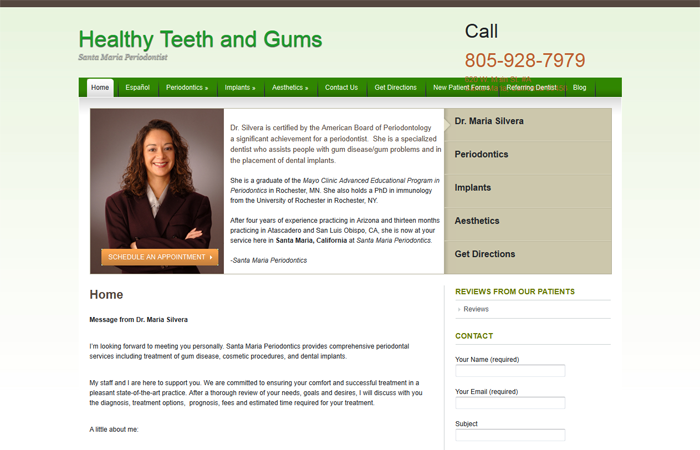 Dr. Silvera is certified by the American Board of Periodontology a significant achievement for a periodontist. She is a specialized dentist who assists people with gum disease/gum problems and in the placement of dental implants. She is a graduate of the Mayo Clinic Advanced Educational Program in Periodontics in Rochester, MN. She also holds a PhD in immunology from the University of Rochester in Rochester, NY.